Sterling Bank Washington Open Invitational! The Sterling Bank Washington Open Invitational is under way at Meridian Valley CC in Kent, WA. We have 168 PGA Professionals and amateurs all vying for the title of the Sterling Bank Washington Open Champion. The Sterling Bank Washington Open Invitational is a 54-hole stroke play individual competition. The Sterling Bank Washington Open Invitational dates back to 1922. In that year, young Al Espinosa captured the crown at Yakima CC. Some big names have won this event over the years including the Zimmerman brothers, Al and Emery, along with Chuck Congdon, Al Mengert, Senior Tour Player Rick Acton and PGA Tour Player Fred Couples. There have been some amazing champions since the event started. Chuck Congdon holds the record for the most wins (39, 47, 50, 52, and 62) while Al Mengert holds the record for the most consecutive wins (63, 64, and 65). The current tournament record is held by PGA Professional Tim Feenstra of Broadmoor GC (2011) and PGA Member Jeff Gove (2012). 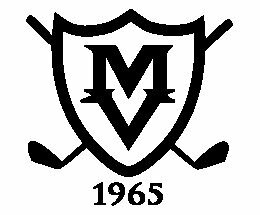 Meridian Valley Country Club officially opened on July 1, 1967 with 9 of the 18 holes ready for play. The second nine holes and clubhouse opened to equally grand fanfare in May 1968. This exceptional 18-hole layout was designed by Ted Robinson, one of the nation’s leading golf course architects, who chose the site based on the stunning views the surrounding area provided. 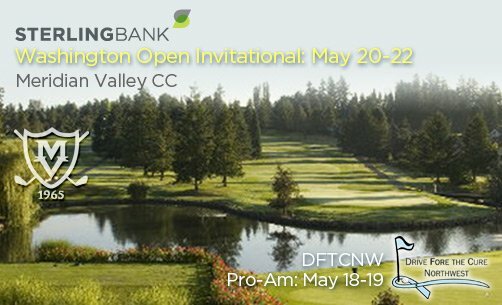 This will be Meridian Valley CC’s seventh time hosting the Washington Open Invitational – hosting in 1972, 1976, 2002, 2004, 2005, and 2009. They also hosted the LPGA SAFECO Classic from 1982 through 1999. MVCC has grown into one of the Northwest’s most respected golf courses to the credit of the founding members who successfully achieved their goal to develop a first-class golf club. CLICK HERE to view past champions of the Sterling Bank Washington Open Invitational. Results will be posted at regular intervals throughout the day at https://www.pnwpga.com/pdf/resultswa13.pdf “Almost live scoring” will begin at 10:00 am each morning after the groups begin turning. Be looking to see if one of your friends posts a low score!